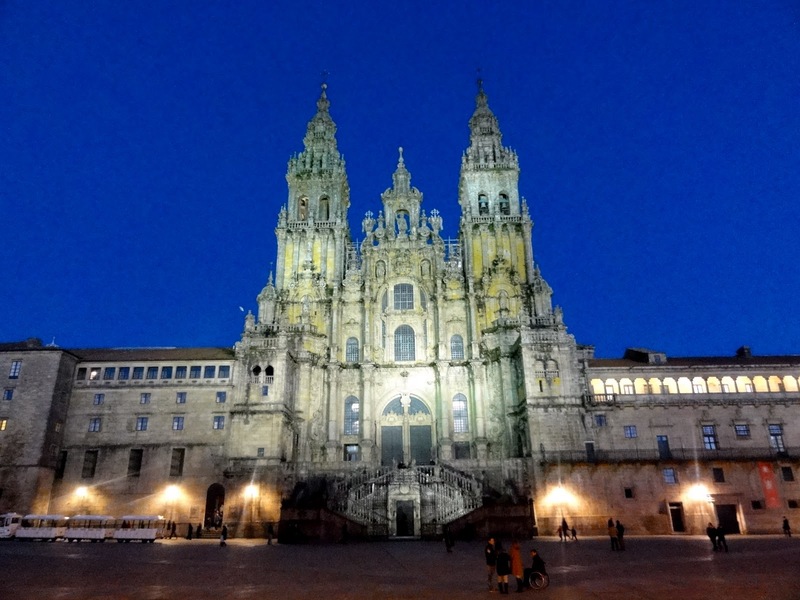 A year ago this past week Robin and I set out from St Mary’s on our first pilgrimage down the Camino de Santiago from St Jean Pied de Port to Santiago de Compostela, and then on to Finisterre, and Muxia. Much has transpired since that pilgrimage. It is hard to categorize all the changes, but there are plenty. On the strictly physical side we are now almost always walking. Daily walks of 5 to 10 miles are now the norm. On the spiritual side the benefit of the time spent in reflection and contemplation while walking the Camino cannot be overstated. It was a true blessing, and a gift from God to have that quiet time. Thoughts of our community of fellow pilgrims, and the many welcoming hospitaleros we encountered, continue to warm our hearts as we reflect on their kindness and generosity (not to mention their wisdom). Now at home we find ourselves probing more deeply the issues of faith, purpose, and spiritual direction. It is as though that part of our lives caught fire, and we are now always discussing some facet of that inquiry. With Christmas just around the corner, Robin and I fondly recall the joy of sharing last Christmas Eve with our fellow pilgrims in the upper rooms of the albergue in Santo Domingo de Calzada. Daniel, a Canadian friend from the Camino, texted us the other day to simply say hello on this very special anniversary. A simple kindness that was much appreciated. Whether on the Camino or just living our lives at home, we continue to sense that we are all connected, and we are thankful for that. But, with this realization come new responsibilities. Understanding that what one does affects everyone else, shifts our thinking regarding all people and all things. We sell ourselves short, and diminish our lives, if we feel that we can get through life by simply doing no harm. Doing no harm is a start, but we are called to do something more, perhaps much more. In other words, we have to be active, even bold, in our faith or whatever you choose to call that inner yearning that causes us to seek the Oneness of our beginning. What that means for each of us is what I feel we are all trying to discover, and respond to. We do know that all human activity can be improved with love, charity and a joyful heart. These powerful virtues can, and should be, trusted to safely light the way for the inner journey that beckons all of us. Reaching Santiago was, in a sense, both an end, and a beginning. The pilgrimage physically came to a close, but at the same time we sensed that in some way it hadn’t (the Holy Spirit is always at work). There was something yet to be done. Now far from the Camino our spiritual journey continues to lead us we know not where, but wherever that might be we are now anxious to follow. Perhaps, in the end, this will prove to be the greatest gift of our Camino. Previous Previous post: Pilgrims in the neighborhood?